This is what I found when I went to volunteer with the Central Park North Stars on Friday. 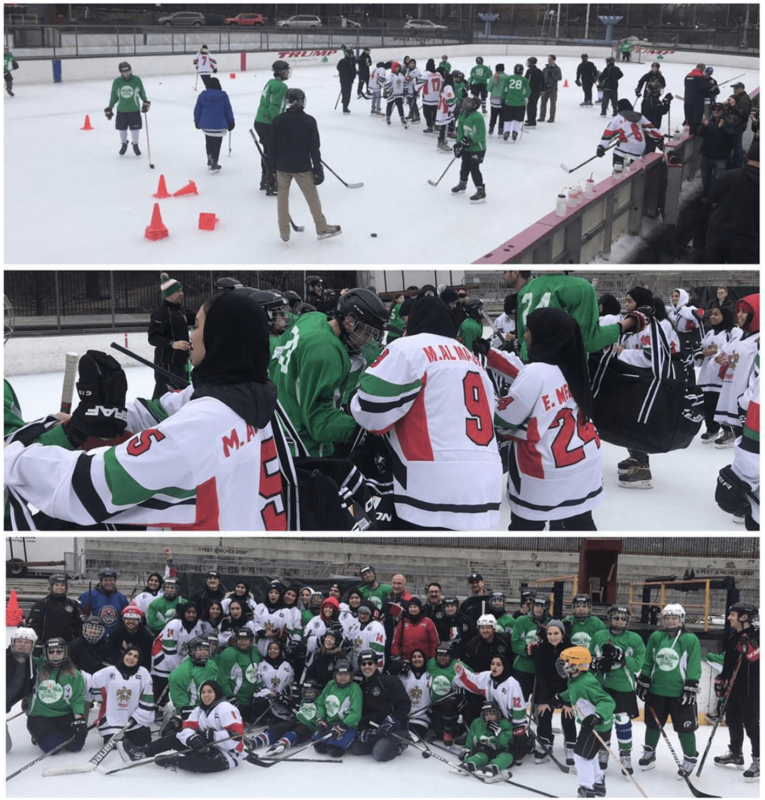 The team had the fantastic opportunity to skate with the United Arab Emirates women’s hockey team, currently visiting the United States. They came to the rink to help out the kids who needed it. 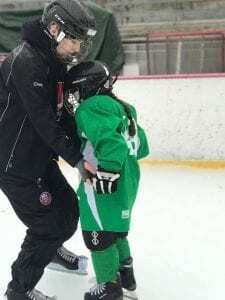 coaches work with a kid having a tough day, or helping an individual improve their skating 1 on 1. I could write this reflection on any of the practices I’ve helped coach, but this one stood out. The women on the UAE team weren’t there to show off, they were there to help. Just like I was. They were running drills, helping some of the younger kids back to their feet when they fell, and helping convince one player that he needed to wear his gloves on the ice. Normal practices are usually a little more difficult to coach, as there are fewer adults to kids on the ice. The UAE women on the ice were working hard with each person, helping them skate, pass, and shoot. Yet in some ways, the practice was the same. It was the same players on the ice, the same challenges being faced, the same team playing and having fun and falling over and getting up again. But it was so much more than that. It was a connection that bridged language and continent and age. For those 2 1/2 hours, everyone on that ice was having fun. And that’s a beautiful thing. I am so glad I have opportunity after opportunity to help these kids, and I’m so glad I found my little community of hockey.